Ever wondered what it’s like to be the International N'siah, or what BBYO was like twenty years ago? What about the International N'siah from twenty years ago? Keep reading to find out. Noga is currently serving as BBYO’s 74th International N'siah (2018-2019), and Jen Rosen served as BBYO’s 56th International N'siah (2000-2001). Noga is from Central Region West and is attending Columbia University after her term, and Jen Rosen is from Northern Region East: Northern Virginia Council, and attended Indiana University. Both of them took a year off after high school to serve. Below is an interview I conducted separately with Jen and Noga, where I had the privilege to learn all about their time in BBYO and what it’s like to serve as BBYO’s International N'siah: Then vs. Now. Noga is from Central Region West. Jen Rosen is from Northern Region East: Northern Virginia Council. What year were you N'siah? Noga is currently serving as BBYO’s 74th international N'siah (2018-2019), and Jen Rosen served as BBYO’s 56th international N'siah (2000-2001). What were your primary responsibilities as N'siah? Jen got the opportunity to meet the BBG who was International N'siah around 3 or 4 years before Jen was. She came to her region, and gave Jen the confidence she needed to accomplish new heights for the council. “She really inspired me. For her to tell me that she had confidence in me, to encourage me to follow my own leadership path… I think so much of what I’ve learned in my professional career is it’s so important to sort of metaphorically tap people on the shoulder and tell them there’s someone you believe in, and help them to develop their path. She did that for me and she got me to run to pursue excellence in Northern Virginia and then got me to run for International Aym Ha'Chaverot, which I was for a year before I was N'siah.” Because the organization had an uncertain future at the time, Jen describes that there wasn’t really a person who wanted to take on the responsibilities of N'siah. It was her board at the time that encouraged her to run, and said “you are the person to lead this next stage of the movement.” She wasn’t planning on running, but the fact that Jen’s board turned to her with an opportunity that only she could fill is what really inspired her. What was the running process like? 1. Filled out her intention to run and had her parents sign it. 2. Had to write a paragraph about why she wanted to run. 3. Completed a self-evaluation reflection consisting of around 18 different questions. 8. Priority papers and vision statement. This was the first piece of legislation shared with the public. 9. Made a video, platform, and speech. 10. Ran at IC and won! Both Noga and Jen ran unopposed for N'siah. Jen had to create platforms, meet the candidates, and go through a similar process to Noga. Today’s international election process very closely resembles what the candidates had to go through back then. What made you qualified for the position? Jen’s year as Aym Ha'Chaverot and her interactions with other people gave her a great sense of what BBYO was like globally. 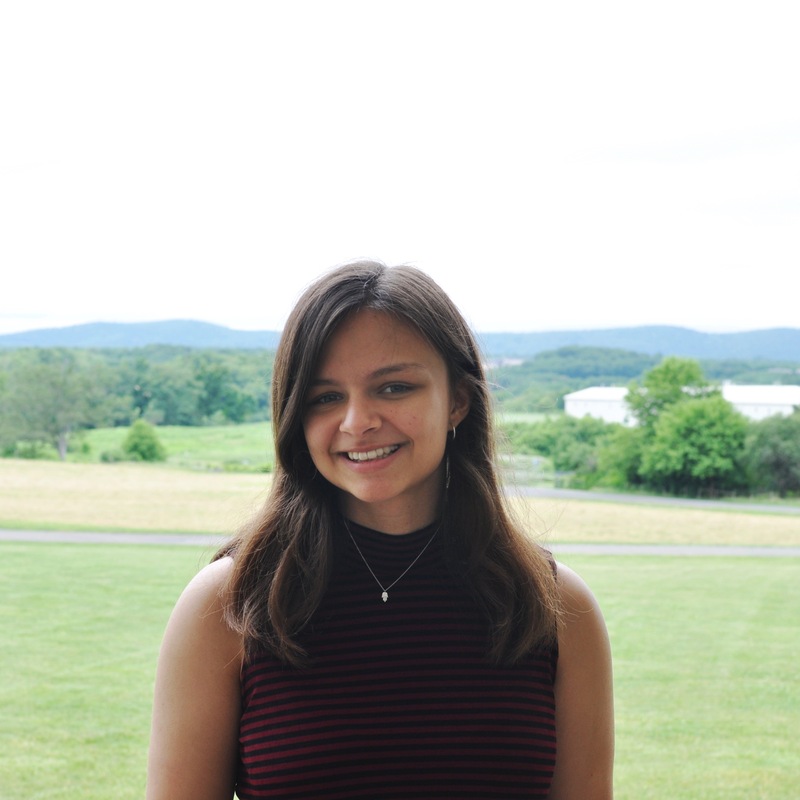 She also believes her passion was to take “what was a very challenging situation and try to persevere and ensure that the organization would have a bright future,” meaning she felt it was ultimately up to her to help save BBYO. Both Noga and Jen believe that aside from “written qualifications,” passion is essential to the position. How often did you communicate with your co, the Grand Aleph Godol? “You won’t believe this, but this is the first time I had a cellphone. Cell phones were not common then, so my ‘N'siah phone’ was my first cellphone I ever got.” Texting “was not a thing” back then, so Jen and her co communicated by phone call about 3 or 4 times a week. He is still a very close friend of Jen’s and signed the ketubah at her wedding. Both Noga and Jen worked incredibly closely with their cos, and developed a strong friendship outside of their responsibilities that both of their positions brought to them. Describe your favorite memories as N'siah or during your time in BBYO in general. Noga says “Both locally and internationally, I’ve made some of my very best friends that I know will be friends for life… for some reason, maybe it’s the sisterhood, and maybe it’s the Jewish community, and maybe it’s something about BBYO… I will always treasure the relationships that I will made during my time here… I’ve met people that have become mentors of sorts, people who I mentee, and that intergenerational companionship is really unique and really valuable.” Noga’s favorite memories are comprised of the people she has met and relationships she has formed. However, Jen’s are of her time at CLTC and truly finding herself there. Jen explains “My favorite memory was finding my voice for the first time, and that was at CLTC.” Despite Jen going to CLTC “feeling like it was something [her] parents made [her] do”, Jen describes how she felt like a totally different person when she left CLTC. She felt like she found her place, and was able to exude confidence and become the outgoing individual she was meant to be. Both she and her parents remember the transformation of Jen coming out of her shell. What were some challenging moments you faced? Did you ever feel overwhelmed? What do you think is the most influential thing you did as N'siah? Jen says the most influential thing she did (she emphasizes she played a very small role in it because there were so many people involved) was helping to ensure “BBYO could become its own independent organization with its own vision for the future.” She spoke with much gratitude about the role Lynn Schusterman and the Schusterman Foundation played in ensuring a bright and vibrant future for the organization and their belief in the teens. Do you personally feel like you did a good job as N'siah? Do you have any regrets? Because Noga’s term has not ended yet, she hopes the best is yet to come. Jen says the following as she reflects back to her time as N'siah: “I look back on it very positively, but I think there were some times that I would have kept my composure a little bit more.” Jen says that, as a leader, she “didn’t always show up as the resilient” person that she would have liked to have shown as, especially in containing her emotions toward the uncertainty of the organization’s fate. Where was IC held the year you ran? How many teens attended? When Noga ran for International N'siah, IC was held in February in Orlando 2018, and around 5,300 teens attended. When Jen was N'siah, IC was held at Perlman Camp in Pennsylvania, and around 300-400 attended. First was Kallah, then ILTC, and IC was a week-long program afterwards in August. People would either stay through Kallah/ILTC or come afterwards. IC attendance in 2018 had approximately eighteen times more teens than it did in 2000! Who were some speakers or performers the year that you were N'siah? Describe interesting programs or activities that were offered to teens. Noga discusses how her favorite activity was on Saturday night, where all attendees were able to go to Universal Studios. They had many very interesting speakers such as Aly Raisman (World Champion gymnast and bestselling author) and Jason Kander (president of Let America Vote, CNN & Crooked Media Contributor, and Missouri’s 39th Secretary of State). Both IC 2000 and IC 2018 brought in speakers, singers, and special guests, and also had fun activities planned for teens. Did you go on any summer programs during your time in BBYO? If so, which ones and where were they held? Noga attended CLTC, ILTC, Kallah, ILSI, and coordinated Kallah 2018. Jen went to CLTC 2 in 1997 at Beber Camp in Wisconsin. The following summer she attended Kallah at Perlman camp, and the next summer she attended ILSI in Israel. Additionally, she coordinated three CLTCs at Beber (1, 2, and 3) in the summer of 2000. Do you still have any of your BBYO swag? Jen has a few pieces which she is saving for her daughters, such as pins, her International N'siah sweatshirt, her CLTC t-shirts from which she coordinated. She also has a “BBG box” she is saving as well. Do you have children, and if so are they in BBYO? Jen has two daughters, five and three, and a third child on the way. Jen tells a story about how she was taking her daughter to preschool at the JCC where BBYO is held in her community. Her daughter saw a plethora of BBYO teens getting on a bus, preparing to depart for a convention. Her daughter asks, “What are all those kids doing? Why are they getting on the bus?” Jen responded, “Well, let me tell you about it!” She said she went “on and on, but [my daughter] lost interest in about thirty seconds, but I was SO excited to tell her!” Jen also has a sister who is about ten years younger than her and also got to experience BBYO, which was very exciting for Jen because she got to “live vicariously” through her. Was there anything you learned as N'siah that you still use in your daily life today? I was so honored to be able to interview both of these incredible women. It was so amazing to hear about their time as the International N'siah of the B’nai Brith Girls. Both had very interesting stories, and it was fascinating to hear the similarities and differences they faced with a position they both held twenty years apart from each other. There are hundreds of chapters in North America and in over 42 countries around the globe. 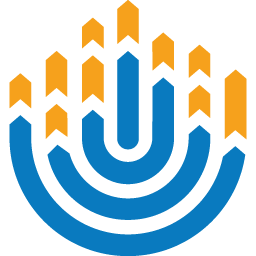 Including partnerships and international communities BBYO reaches nearly 82,000 people, and IC is the largest gathering of Jewish teen leaders worldwide. From nearly 15,000 in 2001 to 20,455 teens in North America alone in 2019, I’m so grateful that BBYO is where it was today and it’s truly amazing to learn about how this organization that was once on the brink of failure is where it is today.